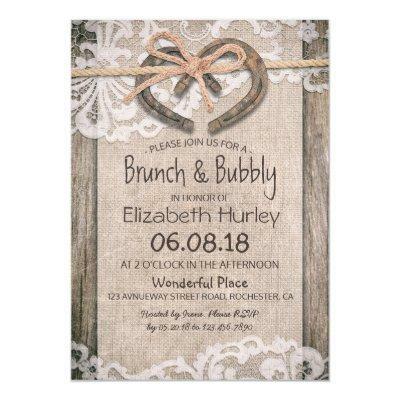 Rustic country style Brunch and Bubbly / Bridal Shower invitation Template - Old Horseshoes Couple with Rope Bow Knot and White Lace, Burlap Cloth on Old Barn Wood Background. A Perfect Design for your Big Day. All text style, colors, sizes can be modified to fit your needs!